Myself and Espe are the creators of latebloomeronline! 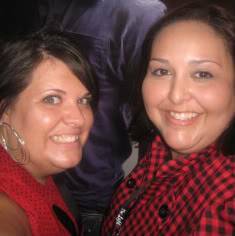 Espe and I first met on Twilightmoms.net! We are HUGE Twilight Fans!!! After reading Aprilynne's book Wings which we both loved and then after meeting Aprilynne we had the idea of starting a fansite for her book and upcoming movie! We are more than excited to be connecting people in the same way that Espe and I first connected through Twilightmoms!